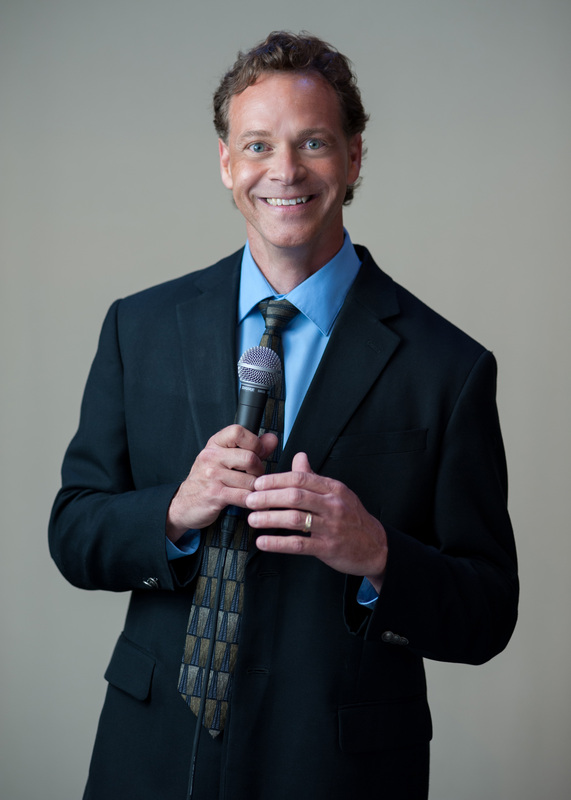 For over 20 years, comedian David Ferrell has shown audiences that comedy can be clean and funny! As Heard on Sirius/XM "Laugh USA"
David is a multi-time nominee for Comedy Act of the Year by the Inspirational Country Music Awards, sharing the honor with Mark Lowry, Dennis Swanberg, Chonda Pierce, and some of the biggest names in Christian comedy! He is one of the most active touring Christian comedians working today, performing well over 150 dates a year. David's performance is 100% clean and suitable for all ages and backgrounds. He has performed at churches, Christian companies, corporate events, festivals, and fairs across the United States. David is active in his local church and devotes much of his personal time to fundraisers for schools, hospitals, and non-profit organizations. He encourages churches to use comedy as an outreach to bring people in who would otherwise not consider attending a church function. He is willing to take his God given talents anywhere that is willing to have a clean, positive, and funny event! Church Show - "Positively Funny - Laughter and Inspiration"
Get ready to renew your spirit as David shows you that church should be fun! David delights audiences with relatable tales about everyday life, along with impressions of Michael W. Smith, Third Day, Bob Carlisle, Mark Schultz, famous cartoon characters, farm animals, Star Wars characters, and more! David's comedy ministry delivers plenty of laughs while stressing the importance of being involved in a Bible teaching church. Christian Concert - "Celebrate and Impersonate"
Inspirational Comedian of The Year award nominee David Ferrell brings you a comedy and music event you won't forget. This unique concert features Christian comedy, original funny songs, and musical impressions of your favorite Christian Recording Artists such as, Third Day, Michael W. Smith, The David Crowder Band, Mark Schultz, and more. 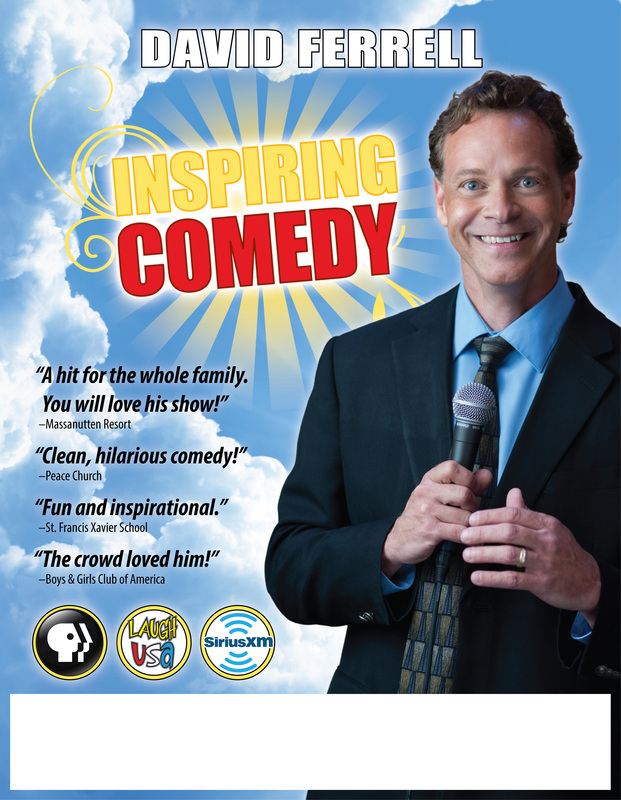 No other touring Christian Comedian can bring you a balance of clean comedy and impressions that will inspire the entire family! "I would recommend David Ferrell to any Christian audience. His jokes were clean. No one got upset or offended. He was upbeat and truly a delight. At the end he makes a very clear connection with the Gospel message that leaves no one doubting Who he is serving! I would invite him back anytime! Our people left saying, 'Wow, he was the best comedian we've EVER had!'" "Our congregation loved David and we used his appearance as an outreach activity for our community! David was very professional, arrived early, and helped my flock forget their problems and invited people to let the Lord into their lives. His show is fast-paced, clean, and very funny. David stayed after the show to talk with everyone personally... He was FAMILY when he left!" "Comedian David Ferrell provided a laughter-filled, sidesplitting, can't catch your breath night. He entertained everyone with impressions of Third Day, Mark Schultz, and Bob Carlisle among others. If you had closed your eyes, you would have thought for sure the real thing was on stage! He also delighted us with a heartfelt testimony. The entire crowd left hoping he would come back again. " "David Ferrell did an outstanding job in providing clean, hilarious comedy for our very first comedy night at Peace Church. I have had numerous comments about how much church members and visitors enjoyed the event. Considering this was our first time hosting anything like this, we considered it a great success!" "David Ferrell has performed twice at our church for special banquets. Our folks have not stopped complimenting me on having such a great individual for entertainment and edification. He brought one of the most balanced programs I have ever witnessed at any special activity. There are 200 people from Southside Baptist Church who would heartily agree that he is a tremendous blessing!" "We appreciated David Ferrell being with us on New Year's Eve, and want to say thank you for the enjoyment we received from his ministry in comedy. What a way to bring in the new year with joy, laughter and praising God for what he has done for all of us!" "David was great! He holds the attention of every age group and keeps you laughing until your face hurts and sometimes, your stomach too. He delivers a very clear Gospel presentation with good transitions and interesting examples." "Thanks to David for all of his hard work in pulling off our Coffee and Comedy Night. It has developed into an incredible vehicle to pull people together and let them have a good time. David Ferrell has a heart for reaching people and I pray that God continues to open doors for him to use comedy to touch the lives of countless individuals!" Available for: Outreach event, Upward Awards banquets, Campus Crusade for Christ, Celebrate Recovery, Pastor's Ball, Spiritual Retreat, Senior Adult Banquet, Junior/Senior Prom, Family Night, Singles Night, Teens, Youth, Back to School, Orientation, Festival, Fair, Carnival, Christian School, Christian College, Assembly, Formal, Service, Valentine's Dinner, Fathers Day, Christmas Party, Benefit, Concert, Reunion, Homecoming, Luncheon, Dinner, Cruise, Men's Retreat, Salvation Army event.